The goal of Coffee with a Cop is to build relationships in order to better solve problems that affect our community. By eliminating all obstacles and distractions and meeting in a coffee shop, relaxed conversations can take place. There are no speeches and no specific topics. The event is just an informal conversation about what matters to Bozeman residents. No reservations are necessary. Just show up at the advertised time, have some coffee, and talk with us about whatever is on your mind! The Bozeman Police Department held its first “Coffee with a Cop” event in July of 2015. 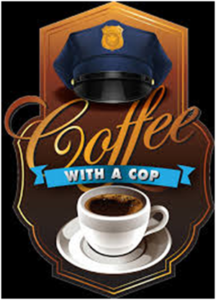 Coffee with a Cop will take place every three months in various locations across Bozeman. Look for announcements regarding the next event, come join us, and let’s have some coffee!